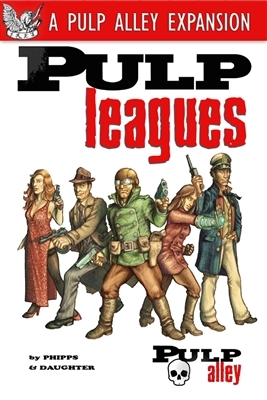 The download version of our Pulp Leagues book. As well as introducing some new rules, our Pulp Leagues book is also a compilation of all our Pulp Alley character types, perks, abilities, and resources previously published in our rulebook and expansions. In addition, Pulp Leagues includes tons of fun optional rules for playing all kinds of pulp genres — including sci-fi, fantasy, old west, horror, swashbuckling and more!